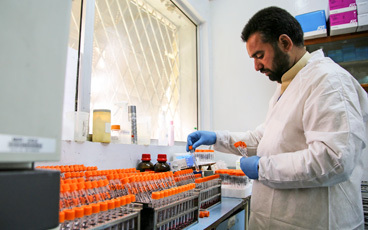 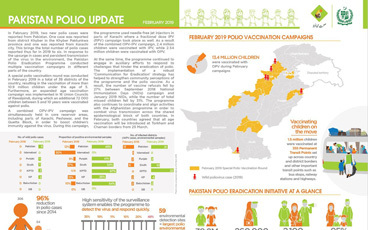 There was one new case of wild poliovirus type 1 (WPV1). 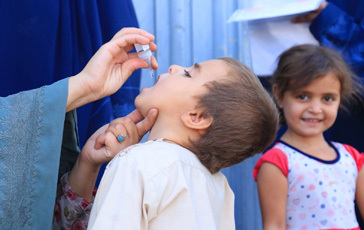 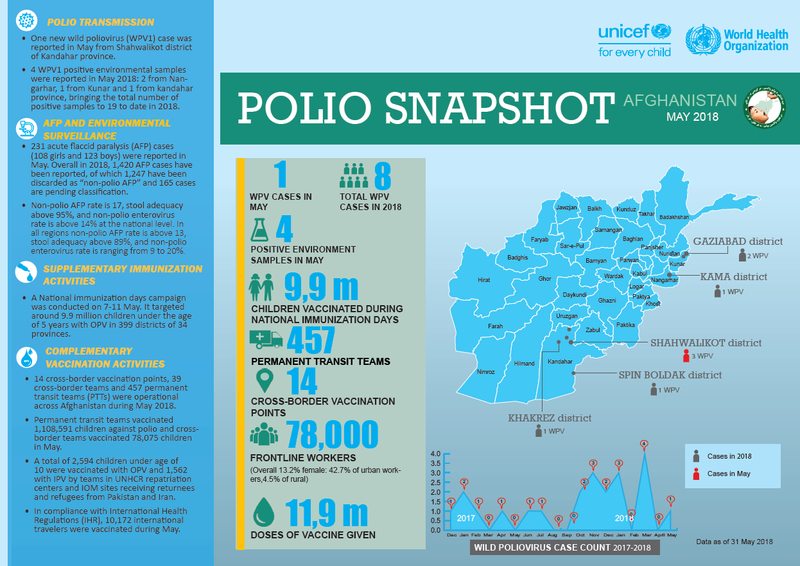 9.9 million children under five years of age were targeted during national immunization days in 399 districts of 34 provinces. 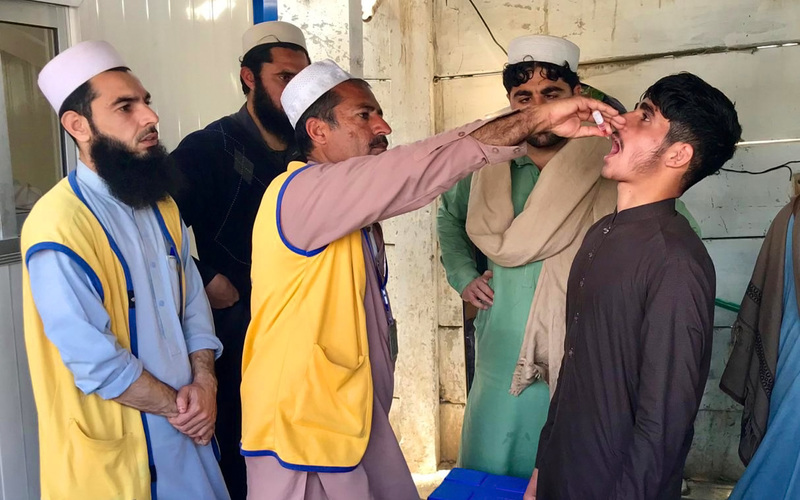 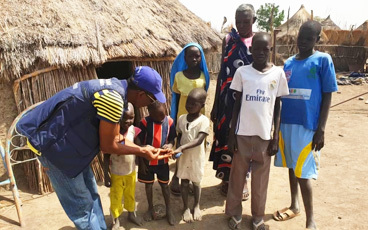 Permanent transit teams successfully vaccinated 1 108 591 children against polio, whilst cross-border teams vaccinated 78 075 children.